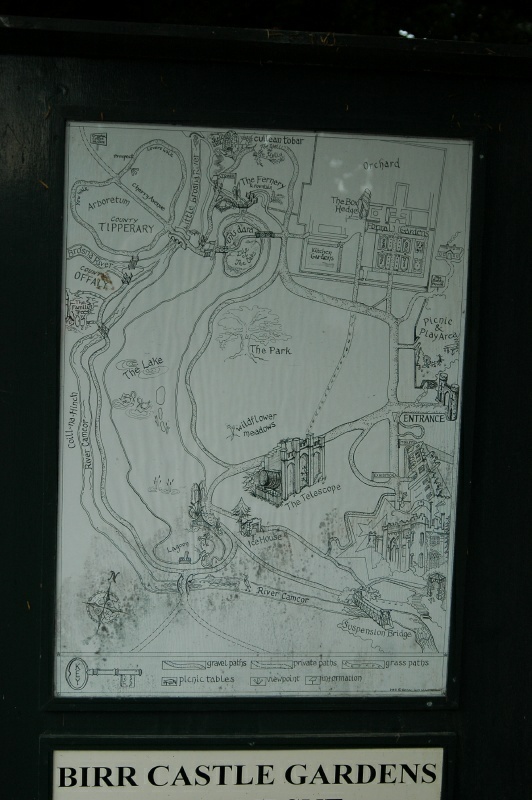 One of many maps of the Demesne mounted at various places in the 135-acre estate. As might be expected, though, each map reflects the layout of the Demesne at the time the map was erected -- which could be anywhere from the mid-1800's (at which time the Parsons' occupancy of the site was already more than two centuries old) to the present. This one, probably circa mid-1900s, shows the Bothy (with smoke rising from a chimney) in the upper-right.